This image shows spiral galaxy NGC 1309. The inset panel shows a pair of NASA/ESA Hubble Space Telescope images of the galaxy that were taken before and after the appearance of Supernova 2012Z. 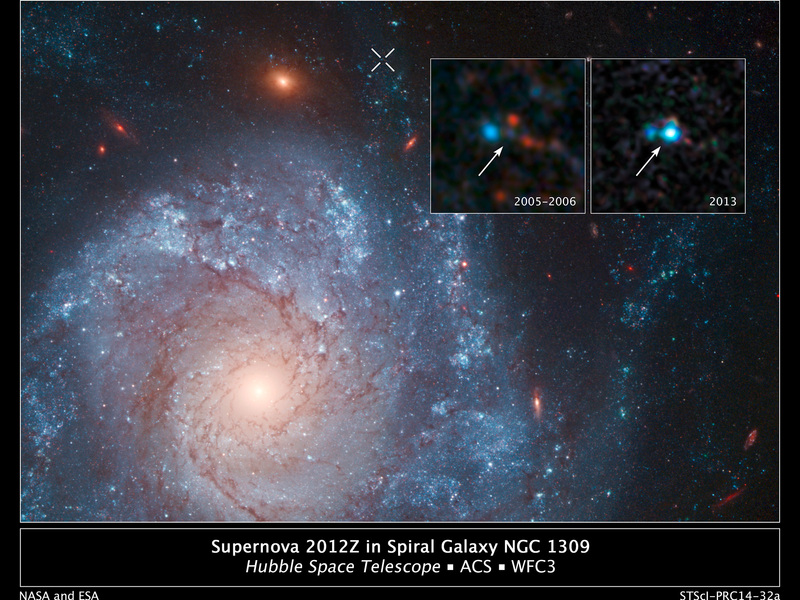 The white X-shaped feature at the top of the image of the galaxy marks the location of the supernova. 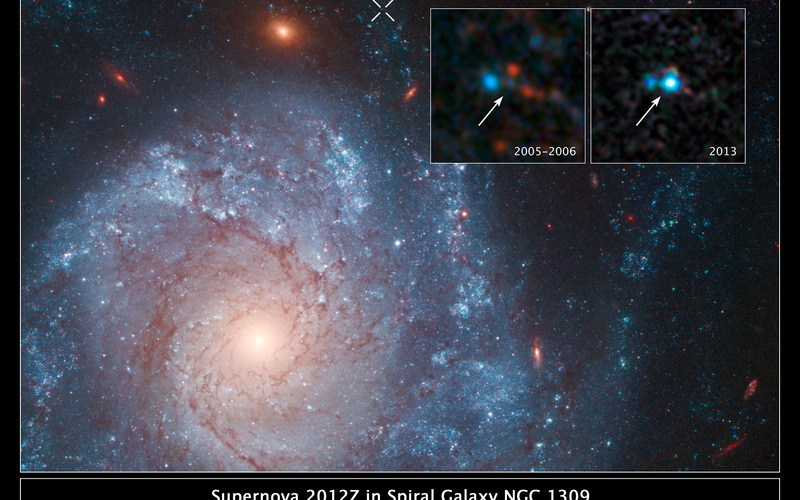 The inset panel from 2013 shows the supernova whilst archival Hubble data from 2005 and 2006 show the progenitor system for the supernova, thought to be a binary system containing a helium star transferring material to a white dwarf that exploded. The stellar blast is a member of a unique class of supernova called Type Iax. These supernovae are less energetic, and hence fainter on average, than their well-known cousins Type Ia supernovae, which also originate from exploding white dwarfs in binary systems.